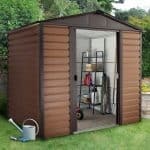 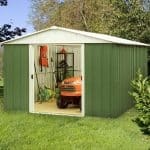 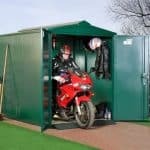 This practical and useful shed runs at 8’ x 10’ and is perfect for storing tools and equipment for your garden. 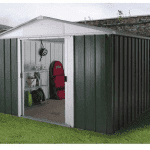 It is made of high quality steel and also has a 20-year non-perforation guarantee. 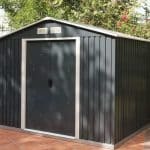 The steel is hot-dipped and galvanised, and is therefore capable of protecting your shed from the elements quite easily. 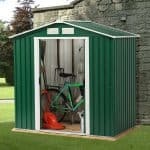 There is a practical organiser system inside the building, and there are also security elements to, with a twist handle that is lockable. 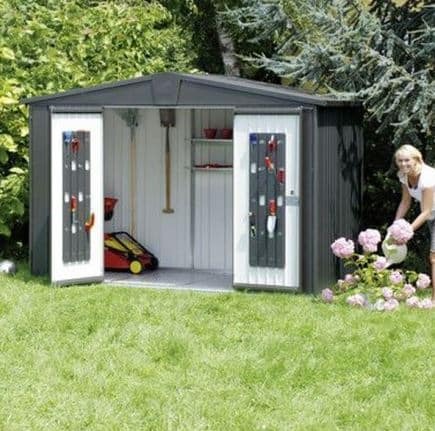 To add to the organisation element there are also two shelf elements included in the shed.